Couldn’t get over her songs and her endearing powerful wise way of allaying thoughts on paper, creatively, with a succinct colourful pedigree of words, unrestrainedly. Set to a backdrop of propelled vocals, centred on beautiful ivories; running through her fingers, gracefully yet fearlessly, to a spellbound, mixed audience. The mother to her Sun Bobby Anderson being the most significant element of her earthly existence alongside the blessings of nurture by her paternal Grandparents since her infancy, Carleen Anderson is more widely known as an independent vocalist/composer whose solo albums and celebrity collaborations are globally acknowledged as relevant Soul Music. She is further known because of her work with the group, The Young Disciples. Her family association with the Godfather of Soul, James Brown, via her stepfather Bobby Byrd and her birth mother, Vicki Anderson, is often mentioned in connection to her music career. Fortune Drive is a metaphor referring to my life in contrast to being raised on Cage Street by my Grandparents. What would be considered failure to me is to be without any association of love in my heart during my time on earth. Success to my mind is the ability to have room in my heart for love even when the heartaches of life seem overwhelming, as having time and space for love brings uplift to any situation. 5. Where did leopards in the temple come from? Epic song. The title ‘Leopards in the Temple’ was drawn from a poem written by Franz Kafka whom I read during my University creative writing studies. Decades after first reading Kafka, circumstances of life resulted in me translating the theme of betrayal in his poem into a song that I wrote about the same topic. 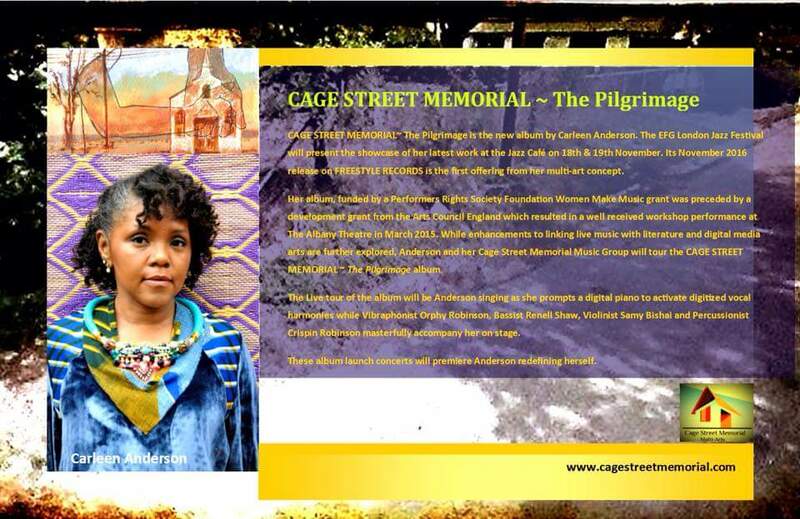 Every song on my new album, “CAGE STREET MEMORIAL~ The Pilgrimage”, is dear to me and favoured equally. The blessings of musical collaborations throughout my career all have graced me with favour but the most dearest is the impromptu LIVE performance with my Godfather, James Brown at the Royal Albert Hall in London, 2003, which was captured on my LIVE DIVD, Grace and Favours. To speak of terror except in incidents where justice demands it is to give fear power without any benefits of purpose to self-preservation. The inspiration that visits me the most is from loved ones long since transitioned who encourage my spiritual journey. What I consider love to be is sincerity in moral support and active carefulness. The last time I had a celebrity crush was when I was a teenager. It was for the 1970s actor, Billy Dee Williams. Such idol fantasies have since been long gone. In an ideal world, I’d love to spend time in the Seychelles. From what I’ve read about it, the place seems peaceful. Of all the critics that have professionally put me down, their worst pales in comparison to that which I experienced personally at a very early age from someone who for this interview shall remain nameless. 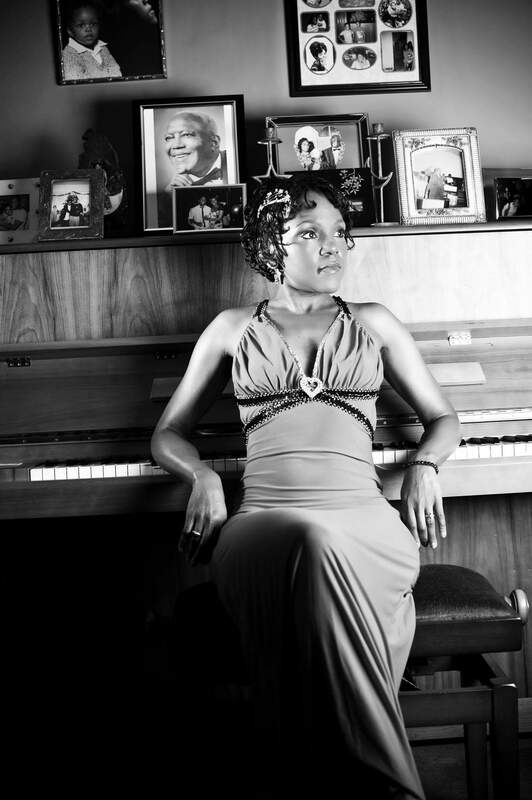 The launch of Carleen Anderson’s new album is scheduled for its showcase by the EFG London Jazz Festival at the newly refurbished Jazz Cafe on 18th and 19th November alongside its FREESTYLE RECORDS distribution release in November 2016.